The worldwide smartphone market broke its record for quarterly shipments in Q2 2014 with market trackers Strategy Analytics and IDC in rare agreement on the figure of 295 million units, although Juniper reckons it was a bit lower than that. The previous record quarter was Q4 2013, which is generally by far the strongest quarter of the year, when SA reported 290 million smartphone units shipped. It has only taken a couple of quarters for that high-water mark to be topped. The main driver remains demand for lower-priced Android smartphones in developing markets in regions such as APAC and Latin America. IDC said its expectations are that the market will continue apace in the second half of the year and surpass 300 million units for the first time ever in a single quarter in the third quarter. 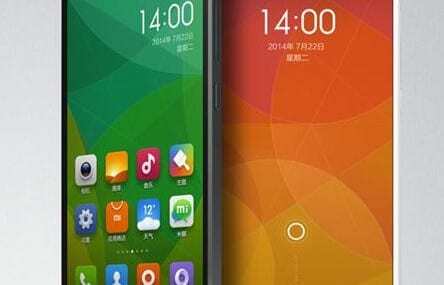 SA noted that China’s Xiaomi was the star performer, almost quadrupling its shipments year-on-year to take fifth spot away from LG. Chinese companies now account for three of the top five global smartphone vendors according to SA, largely from domestic sales, although IDC still has LG in fifth. Samsung saw the Galaxy S5 ship millions of units, while S4 and even S3 volumes remained strong as more affordable alternatives. However, the market leader lost seven per cent market share compared to a year ago, and so will need to focus on building momentum in markets dominated by local brands, IDC said. Apple’s second quarter is always its seasonal low of the year, but the lull was even more evident with consumers holding their collective breath for the long-awaited iPhone 6. However, Apple enjoyed continued success in the BRIC markets, a good sign that it is building its footprint in emerging markets. Huawei saw strong LTE pick up, particularly in China, as all three national carriers subsidized 4G handsets like the P7 to encourage consumers to upgrade from 3G. And Lenovo also had a record quarter in China despite tremendous pressure from local brands, with increased success from the A788T, as well as the 3G A388T. LG volumes were largely driven by its L series, helped by models like the L70, which performed well in many markets including the US and with the G3 launched at the end of the quarter in Korea, greater volumes are expected to show up in the third quarter. “As the death of the feature phone approaches more rapidly than before, it is the Chinese vendors that are ready to usher emerging market consumers into smartphones. The offer of smartphones at a much better value than the top global players but with a stronger build quality and larger scale than local competitors gives these vendors a precarious competitive advantage,” said Melissa Chau, Senior Research Manager with IDC’s Worldwide Quarterly Mobile Phone Tracker. The smartphone market seems certain to pass 300 million units for the first time in Q3 2014 and to top a billion units for the full year. With Android smartphones now available at the price of feature phones, there is little reason to stick with the latter and even the poorest markets are seeing their smartphone penetration of population increase rapidly. Depending on whose numbers you use the global smartphone market has grown by around 25% in the past year and with over a billion smartphones being bought per year, there must surely come a time when this growth will finally begin to slow. That doesn’t look like happening in the next few quarters, however.